Every season The North Face pushes itself to bring newness and innovation into the outdoor world through their products. And it’s no secret that clothing is their specialty. This season is no different, with The North Face bringing out fresh products for the winter with exciting features and prices. This is why here at SKIS.com we have chosen The North Face Apex Flex GTX Jacket as our feature product of the month! This jacket comes in both men’s and women’s styles, and boasts lots of cool bells and whistles. Let’s take a closer look at why this jacket is so exciting for this season. This shell jacket may not provide insulation, but don’t let that fool you into thinking it’s not fully prepared for the best protection from the elements. In case you haven’t caught on yet, the GTX in The North Face Apex Flex GTX name stands for GORE-TEX, which is top of the line waterproofing known throughout the outdoor industry as the best. With a waterproofing rating of 20,000mm+, this jacket will keep you dry in a hurricane. And with a breathability rating even higher, you don’t have to worry about building up a sweat and being damp all day in this jacket. To top it all off, the Apex Flex GTX incorporates windproofing to limit air penetration so those blustery cold and windy days don’t chill you to the bone. It also comes with fully taped seams, meaning that no water will be able to leak in through your seams, and a polyurethane protected waterproof zipper is the finishing touch on making this jacket almost impermeable to water. The North Face Apex Flex GTX Jacket is made for high levels of activity and serious weather conditions in mind, so it comes equipped with everything you would need for a day outdoors. This active fit keeps this jacket closer fitting to the body in a slimming fashion but still allows plenty of room for mobility and full functioning for any activity. The adjustable hood allows for full head protection to cinch tight in blizzard conditions, as well as a cinch cord at the waist to keep out snow and wind. The adjustable Velcro cuffs allow you to close your cuffs tight to stick under your ski gloves, ensuring no snow or moisture leaks into your sleeves or gloves causing your hands to get cold. But when you start to work up a sweat, not only will the high breathability help you stay dry, but the pit zips under each arm allow you to unzip and cool off after a grueling run. The front chest pocket is fully covered to better protect your valuables or anything else you decide to keep with you. And to top it off, a slight drop tail hem gives extra coverage for your rear when you’re sitting on a chair lift or heading through a storm. This ultra-soft and flexible jacket combines a unique mixture of fabrics and materials to keep it high tech and high performance, while also being extremely comfortable. As we mentioned previously, the outer shell of this jacket incorporates 3 layers of GORE-TEX (or 3L), giving it the ultimate level of protection and waterproofing. But instead of having that stiff, crunchy feeling that usually comes along with the use of GORE-TEX, this shell jacket combines it with a soft and flexible softshell material, making it very comfortable to wear. The combination of GORE-TEX, polyester, and elastane keep this jacket fitting perfectly with the ability to stretch with movement without getting saggy or overstretched anywhere. The interior is made with an ultra soft knit interior to keep you warm and comfortable, even if you only have a short sleeve tee on underneath. And there is also a knit-backer on this jacket to keep you dry and comfortable all day. 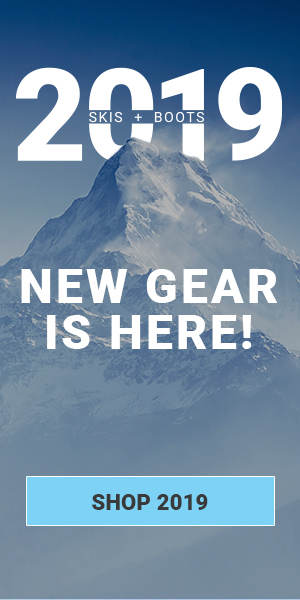 Here at SKIS.com we may be a little bias on what we think you should use this jacket for, but in reality, this is a very versatile jacket that is well-suited for a variety of uses. Our preference of course is to use the Apex Flex GTX as a ski jacket. It’s softshell construction, protection, and flexibility makes it a perfect choice for day in and day out ski wear. Don’t be deterred by its lack of insulation, shell ski jackets are continuously gaining popularity due to their versatility. If it’s a cold day out, throw on an extra layer or an insulator under your jacket to keep warm. Warming up throughout the day due to hard work and sunny skies? Strip that layer off and keep rolling! But besides skiing, this jacket makes for a perfect hiking and outdoor adventure jacket. It’s lightweight and flexible, so it’s easier to roll up and pack when it’s not in use. And it also can be a good rain jacket due to its water impermeability. This brand new jacket is a special release for this fall/winter season from The North Face. It’s their very first GORE-TEX jacket that hit the very affordable price point of $199.99. Getting high quality GORE-TEX for under $200 is a very big deal, and The North Face knows that. That’s why they are only allowing this jacket to be sold in a select number of specialty retailers. And not to toot our own horn too much, but we are so excited to be one of those few so we can offer it to our customers! Feel free to check it out today and see what all the chatter is about! The North Face is known for having very reliable products, but just in case there is ever any issue with this jacket, The North Face has your back with a lifetime warranty. This is a jacket you can wear for years and years to come, and with this lifetime warranty you are covered from any issues. For additional information regarding The North Face’s warranty policy check here. Ski Trip Checklist: Are you Ready to Hit the Slopes?